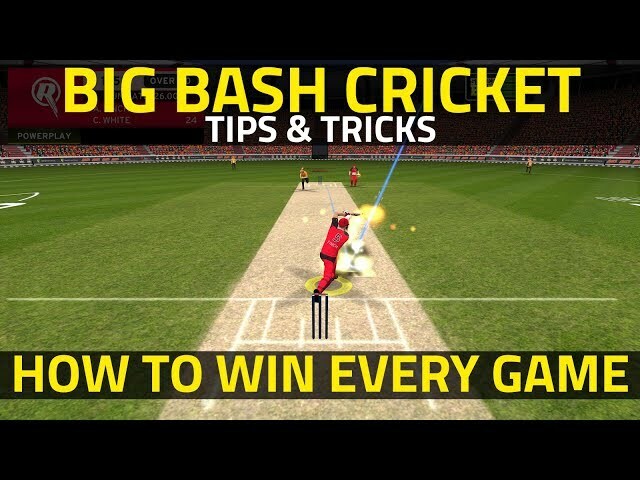 Big Bash Cricket is one of our favourite mobile cricket games at the moment. We’ve been playing the game at Legend difficulty for almost two weeks now and we thought we could share some tips for new players. Some of these tips will help you learn how to play the game at Legend difficulty and there’s even one “cheat” that guarantees victory at any difficulty. Read on. 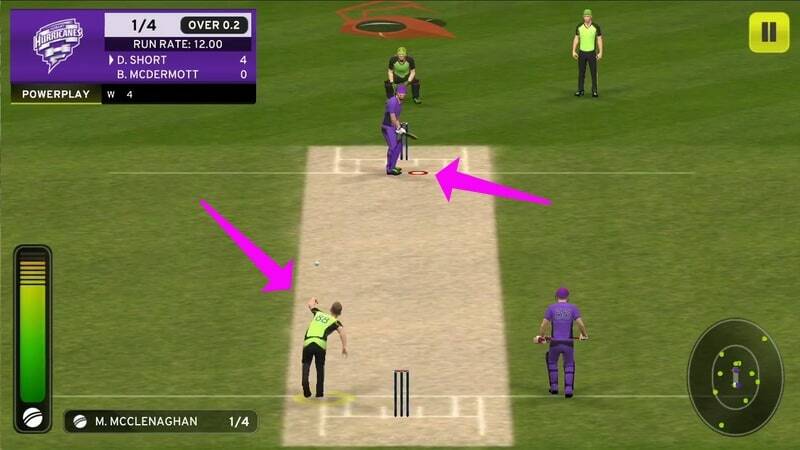 One of the new mechanics in Big Bash Cricket is called Super Bat. You hit three sixes in a row to trigger Super Bat and once you do that, you’ll notice that the ball travels farther every time you hit it. This means that even mistimed shots can go for a six. You lose a bar on Super Bat every time you fail to hit a boundary, but you can recharge this easily by hitting three sixes in a row. This is easier to trigger than Super Bat because you just need to prevent the opposition from hitting a boundary for three consecutive deliveries. This allows you to bowl faster and gives you a chance to surprise batsmen. Just like Super Bat, in case you lose a bar on Super ball, you can recharge the meter by preventing boundaries for three consecutive balls. It’s easy to get thrashed all over the place if you play on Legend difficulty in Big Bash Cricket. However, there are a few deliveries that are more likely to contain the batsmen, and help you take wickets. First you need to set the field to Balanced, as this guarantees that a fielder is at point and deep point. Now, make sure that the ball lands on the crease, just wide of the batter’s feet (see screenshot), and bowl from around the wicket. If you have a fast bowler, bowl an outswinging delivery at maximum pace. If it’s a spinner, make sure the delivery is spinning away from the batter at full speed. You’ll get hit sometimes but you’ll see the batter missing the ball or hitting it straight to a fielder most of the time. Remember that if you get hit for two boundaries in a row, try a different delivery, and then try this one again. Another delivery that regularly got us wickets was the inswinging yorker. Finally, we also noticed that a fast, good length ball pitching in line with the stumps — one that straightens after pitching — also leads to a lot of LBW dismissals. The Legend difficulty can be intimidating at first, but if you practice, it’s not going to be terribly difficult to win matches at that level. Its bowlers aren’t too difficult to pick, because they just use one (admittedly very effective) trick — varying the pace. Most deliveries will be slow, with a few fast ones thrown in between. You just need to keep an eye on the ball and pick the blue trail that follows fast ones. Swipe quickly if you see that, or wait for the ball if you don’t see that trail singapore prize. The slower balls got us out many times until we learnt how to spot them. This one is more of a “cheat”. If you get out or hit for a six, you can immediately force quit the game and then resume playing. If you do this, you can play that delivery once more and you can keep trying until you achieve the desired result. It’s not something we recommend if you want to learn how to play, but if you hate losing as much as we do, then this is one way to maintain a perfect record. But as purists, we also hope Big Ant Studios fix this ‘bug’ with an update, as games such as Stick Cricket do not have this problem. Do you have any Big Bash Cricket tips and tricks to share? Let us know via the comments.